Lowndes grew up in Stockport and after leaving school at the age of fourteen was apprenticed to a decorator. He was a self-taught artist. His first one-man show was held at Crane Kalman (then in Manchester) in 1950 and the gallery has regularly exhibited his work ever since. Public collections that hold his work include the Walker Art Gallery, Liverpool, the City Art Gallery, Manchester and Plymouth Art Gallery. 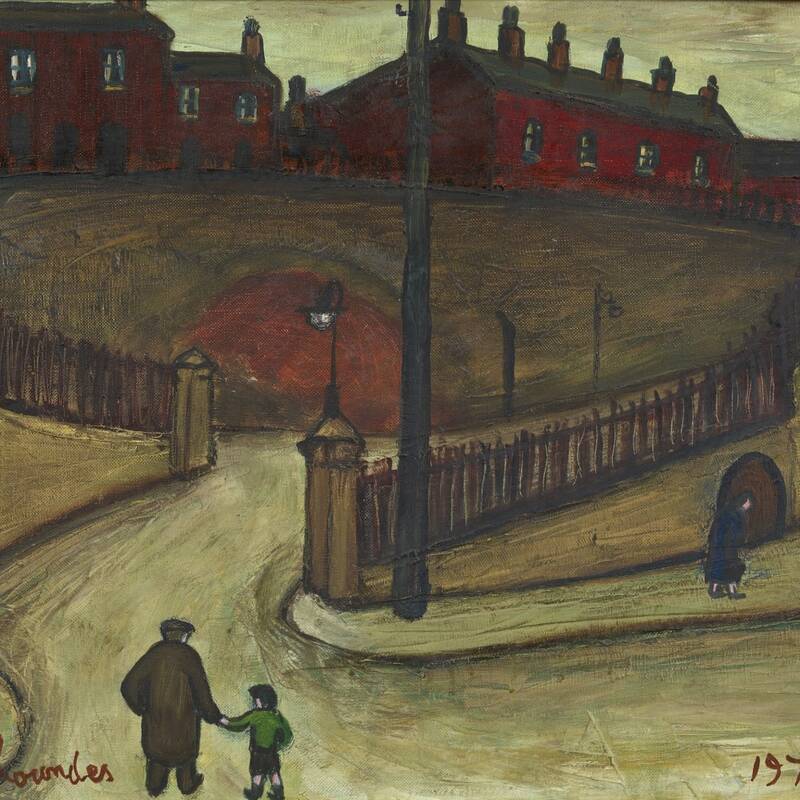 Like Lowry, Lowndes was a painter of the working classes. They had similarly simplistic styles of painting and like Lowry, Lowndes’s work presents a nostalgic vision of life in the urban north. Many of Lowndes’s contemporaries did not appreciate his art. His father famously offered to pay his bus fare to the wealthy Alderley Edge in order that he might paint the scenic spot referred to as Artists’ Lane rather than ordinary people going about their everyday lives. Willis Hall wrote: ‘Lowndes; artistically at least, has become more of a sociologist than a socialist. He describes, vividly and with great insight; he observes the change, somewhat passively; but he does not prescribe the cure’.